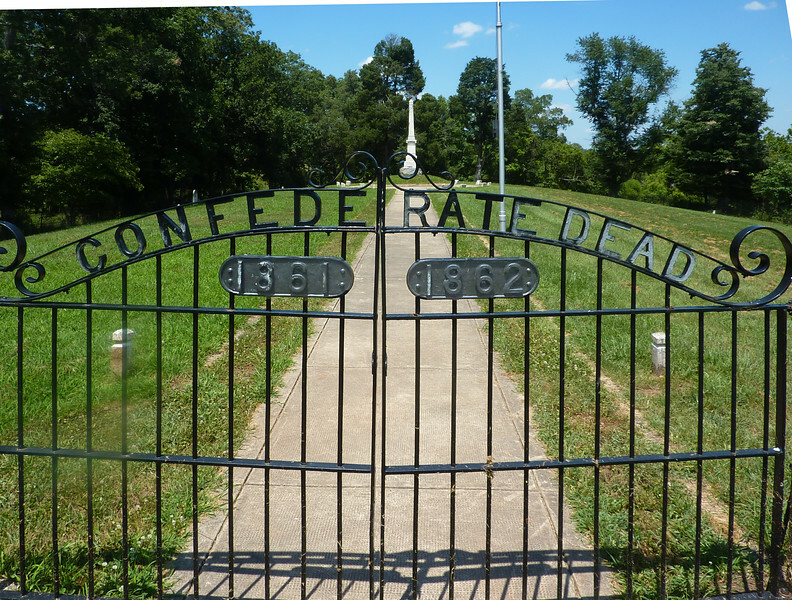 After the War, the Daughters of the Confederacy exhumed the Confederate dead from shallow graves around the battlefieldand moved them to this area. Only two were known by name and they are the only 2 headstones in this whole cemetery. The resty were buried in slit trench mass graves by state. The only designator to mark them was a wooden marker with the name of the state they were from.